The On Tap Group considers charity work to be of utmost importance in our country, which plays directly into our mission statement of “providing a work environment which is based on growth, career development, and team spirit”. As a national franchise company, contributions towards charity are generally made from a store level in their respective areas, and towards causes they feel close to their hearts. Whilst these independent contributions do make a difference, they do not always create the big enough impact that is needed. By streamlining these contributions in 2018, On Tap ensured that the overall impact was greatly improved. After much research into various charity organisations, CHOC Children’s Foundation was the one which stood out the most. As a non-profit health system, CHOC is a national charity organisation with 12 outlets across South Africa. Their main focus is to provide support and services to children suffering from cancer, their families, and communities to help make the journey a little bit easier. During the annual On Tap Indaba, the attending On Tap franchisees got together to pack care packages for these children and their mothers. A total of 150 care packages consisting of toiletries, toys, and beanies were donated, in addition to a microwave, 4 oil heaters, dishwashing liquid, and washing powder. The Salt Rock Hotel in KwaZulu-Natal also donated ingredients for 70L of soup to assist CHOC, who provide 3 meals a day to these children and their moms. 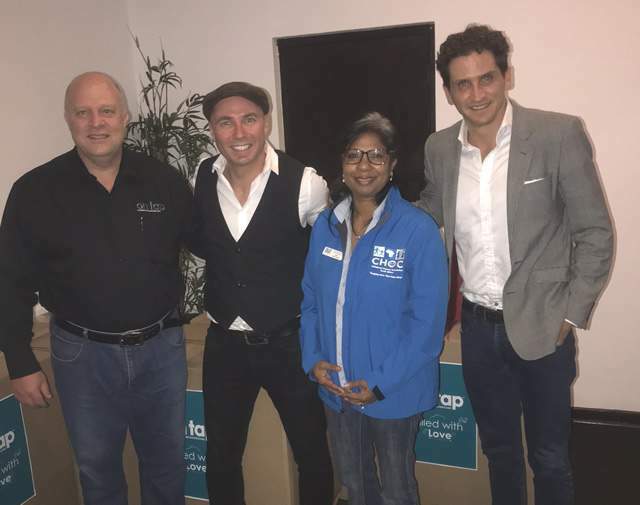 The soup was prepared and cooked by the On Tap franchisee owners themselves, showing their dedication and compassion towards this great cause. A special event was organised to conduct the handover of the donated items, which was done in lieu of a glitzy awards evening in order to honour CHOC and to thank various people/companies and suppliers who also contributed to this worthy cause.